We honor Officer Nehasil, Officer Johnston, Officer Kelley, Patrolman Dethloff, and Fireman Kreski for their brave dedication to the wellness and security of our community. 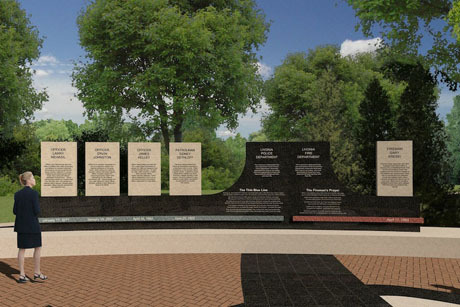 An effort to raise awareness and funds for the future Fallen Heroes Monument located at Larry Nehasil Park is ongoing. This monument provides a place of respect and honor to remember the sacrifice of these men. All donations made to this effort are Tax Deductible. The Dedication Ceremony was held on October 22, 2014. See the Gallery for pictures, and/or watch the videos below.